Want to enjoy your day or night out and not worry about getting home? 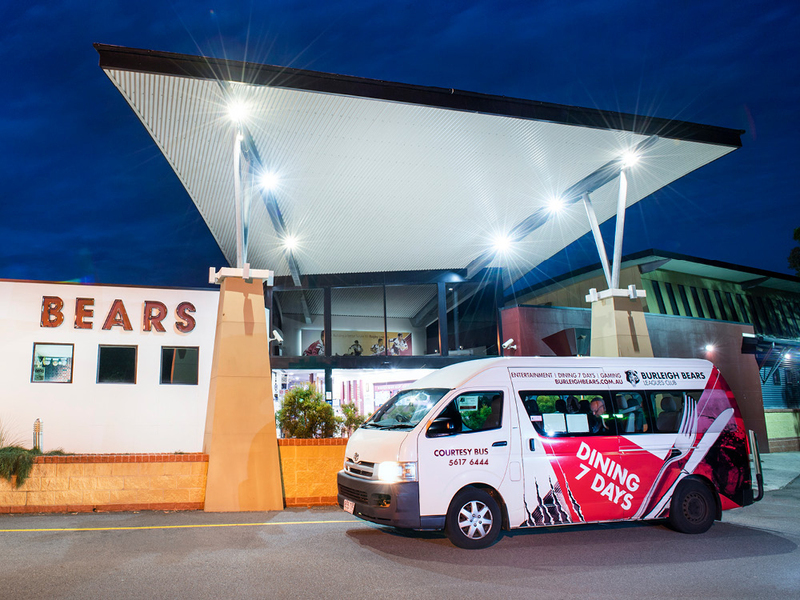 Simply call the Burleigh Leagues Club on (07) 5617 6444 to catch the free courtesy bus. The bus leaves on the hour every hour heading SOUTH as far Tallebudgera Ck, and every hour on the half hour heading NORTH, as far as Broadbeach. This service is completely free to all members of the Burleigh Leagues Club. Children under 10 not permitted due to Transport Regulations.